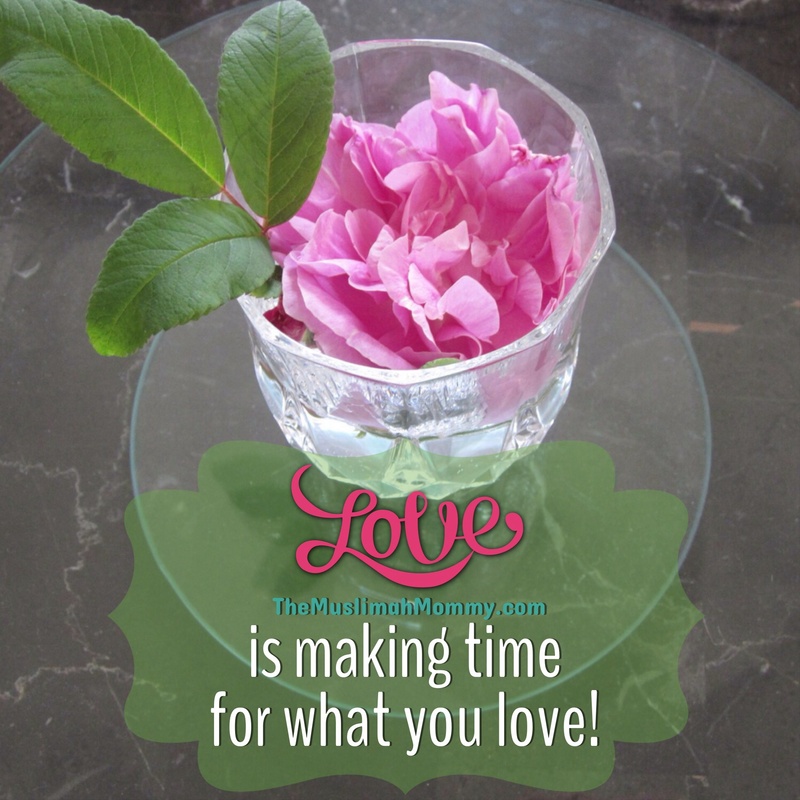 Love is…making time for what you love! The answer to this question isn’t found within the pages of a bulky textbook, nor did I figure this out by reading numerous of articles online, and no I never paid anyone to give me the answer- instead I looked within my heart and figured it out myself. Here’s what I figured out: if you really love something, you WILL MAKE THE TIME FOR IT. No, you will not ‘schedule’ it in, and you will not do it ‘if’ you have an extra hour or so; rather following your passion will become a vital part of you who are and a natural component of your regular routine. Once you have figured out what your passion is, you will drop all the unnecessary background noises that have become distractions, and you will start to focus- focus on the one thing that excites you when you think about it, the one thing that calms your heart. Instead of fitting your passion into your schedule, you will schedule your life around your passion; in other words, you won’t find the time, but you will make time. Jazakillah khoir for your great minds, Sister! My friends told me, we can find the ideas around us. Indeed, you are a great blogger, a great writer, and a great Muslima mommy! Jazaki Allahu Khairan for your kind comment dear! Everything is because of Allah! Love it! MashaaAllah jazaakilahu kheyran for that wonderful reminder ukhti. Sometimes as mothers, it is quite easy for us to forget who we are as individuals and women outside of being mothers. please check out my blog and feel free to follow me as well. May Allah make all of out work and efforts fruitful. Allahuma amin.